In today’s world, sporting events represent an intricate part of how modern society functions. It represents the fundamental pillar of healthy physical development, skills and friendly competition. Whilst the concept of sports represents something which is viewed as the norm, even mundane. The scope of what is deemed a sport had been continuously expanding over the course of history incorporating more and more types of competitions, that sometimes strayed from the more traditional types of sports which test physical attributes, an example would be electronic sports. 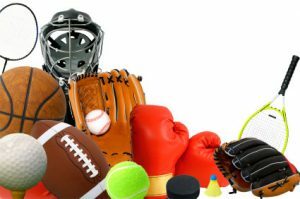 Another way in which sports have traditionally been categorized is through their well defined structure. Rules and regulations are employed in order to ensure fairness and safety, this however are far more loose in what are considered extreme sports. Traditionally during the course of history sports were regarded as competition designed to test the capabilities and the physical attributes of the human body, honed through years of hard training aimed at improving said set of abilities and skills, this aspect still holding true today. Sporting events however, in order to be fair and legitimate, structures for the different types of competitions had been given. A sporting event implies a contest between two or multiple parties that engage in the same types of activities which are aimed at testing the same set of abilities and skills among all the competitors. A set of rules are usually enforced in order to ensure the proper conduct and fairness of the competition itself at the end of which, naturally, there is a winner. Sports have always played an important part of human societies and cultures. Over the course of history they have gained a higher importance and ended up being associated with health, work and dedication. With this increased popularity of sports, it has become more profitable for individuals to build businesses around the concept of sports, a prime example of this would be sports betting. Gambling has always existed in shape or another, but nothing comes close to the scope of the industry that is today sports betting, as it has become a cultural phenomenon in itself.